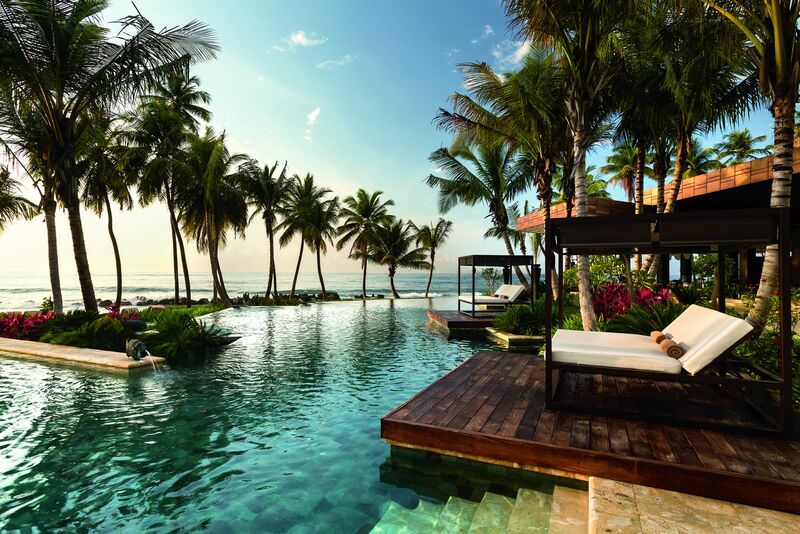 Dorado Beach, a Ritz-Carlton Reserve officially reopens this week in Puerto Rico. It has undergone an extensive renovation since Hurricane Maria hit last year. Following an in-depth restoration, Dorado Beach emerges more spectacular than ever, featuring expanded offerings, amenities and facilities, allowing the renown Ritz-Carlton Reserve to continue to create transformative and personal journeys for all guests. Guests returning to Dorado Beach will find each of the property’s 114 beachfront guestrooms and suites re-imagined with a thoughtful design and refreshed with a color palette that amplifies the natural beauty just beyond their doors. The expansive and lush landscape that makes up this special, rare estate has welcomed the addition of more than 300,000 new plant species, resulting in a truly tropical sensory experience. As a part of Marriott International, Dorado Beach, a Ritz-Carlton Reserve has partnered with musical artist and philanthropist Lin-Manual Miranda to support his work in stimulating the Puerto Rican economy and preserving the country’s culture by strengthening and sustaining the local arts community. Throughout the resort’s opening season, starting now through February 2019, Dorado Beach will donate $10 per room to Miranda’s Flamboyan Arts Fund, which supports all aspects of Puerto Rico’s artistic community, including music, theater, visual arts, dance, literature, and youth arts education – critical components of Puerto Rico’s tourism industry and pivotal to the economic recovery of the island. Additionally, Miranda and Prizeo announced today that fans of Hamilton now have the chance to win the trip of a lifetime to attend opening night of Hamilton in Puerto Rico on January 11, 2019. Marriott International is the official Hotel sponsor for Hamilton in Puerto Rico, offering the Grand Prize Hotel Stay at Dorado Beach. Round trip airfare is provided for by JetBlue. The Hamilton Puerto Rico Prizeo campaign runs until October 29th at Prizeo.com/Ham4PR.